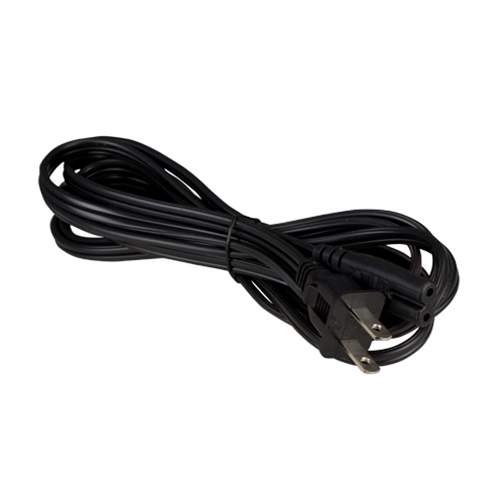 We offer these 2 conductor power supply cords that are suitable for personal computers, laptops, printers, office equipment, consumer electronics or any 2 prong non-polarized power cord application. Our NEMA 1-15P 2 pin male to C7 female connectors with heavy duty 18 AWG conductors are designed to meet the most demanding power supply requirements. Our universal AC power supply cord is designed to work with high performance devices that require a "figure 8" style connection into the device.